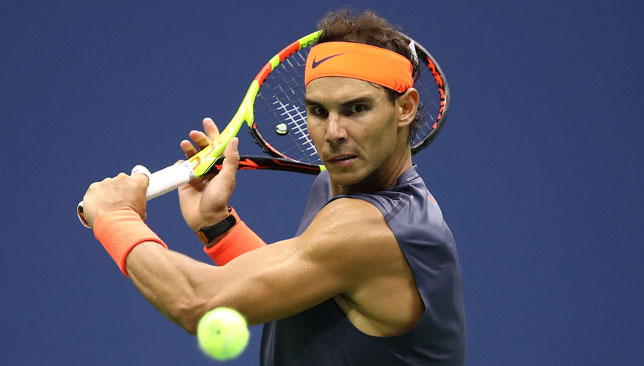 Roger Federer hailed old rival Rafael Nadal as “super-inspiring” after the world number one joined in the clean-up operation after flash floods killed 12 people on the Spanish holiday island of Majorca. “I know how important Majorca is to Rafa and I have been in touch with him to see if I can help with anything,” Federer said in a video message recorded in Shanghai where he is currently competing. “A big hug and friendly regards to Rafa and well done amigo for helping out,” said the reigning Wimbledon and US Open champion. Andy Murray co-founded 77 Sports Management in 2013. While Andy Murray spent this past year dealing with a hip injury, recovering from surgery, and making his way back to the tour, he was also busy adding talented young athletes to the roster of his sports marketing agency, offering them mentorship and advice he wished he had when he was an up-and-comer himself. In 2013, Murray left XIX Entertainment and co-founded 77 Sports Management with two of his business advisers, Matt Gentry and Gawain Davies. The idea was to create an agency to look after Murray’s on-court and off-court needs, and once he was set up, the Scot would then start mentoring young athletes across a range of sports. Within the last 11 months, Murray’s stable has grown to include six athletes from three different sports: tennis, athletics and football. Davies, formerly of IMG and Lagardere, focuses on the commercial side of things, while Gentry, who has previously worked in football and rugby, among other sports, deals with marketing, brand and communications. Murray sits at the top as the mentor, with a direct line to the athletes they represent, and that way they guarantee providing a personalised, all-round strategy for their young stars in the making. So far, Murray and his team have signed tennis players Aidan McHugh and Katie Swan, twin track sprinters Shannon and Cheriece Hylton, and Scotland youth and Hibs footballers Ryan Porteous and Fraser Murray. “We take on talent based on their potential and personality and whether we feel we can make a difference,” Andy Murray told Sport360. “We have six clients now, in tennis, football and athletics, but we are keen to help more. It’s something I enjoy and I’ve got a good team around me to help out in all areas of management. All of the athletes currently signed by 77 Sports are aged 21 and under. When Murray first thought of all this, he was particularly interested in helping young British athletes make the transition from juniors to the senior ranks, mentoring them along the way. He has vast knowledge from his 13-year professional career that saw him capture three Grand Slams, two Olympic gold medals, and rise to No. 1 in the world, and he wanted to pass that wisdom on. Now, Murray and his team are keen to add a few more athletes to their crew, but with the intention to keep their boutique agency intimate, to maintain their personal touch. Signing a couple of slightly older tennis players – in their early 20s – is a possibility. Since they’ve been mostly working with juniors, the risk is high and there are no guarantees. While money is not the main motivation behind the company, there is of course a financial reality, especially with Murray being the majority shareholder, who has invested his own money in it. Signing slightly older tennis players could potentially minimise that risk. They are also looking at recruiting a golfer and say there is no reason for them not to work with non-British athletes as well. While Murray can rely on Davies and Gentry in handling the commercial side of matters, the 31-year-old Scot believes tennis has equipped him with some valuable skills that are transferrable from the sports to the business world. Besides his sports management company, Murray owns a luxury hotel, Cromlix, near his hometown of Dunblane, and has also been backing British start-ups on the investment crowdfunding platform Seedrs. His investment portfolio has reportedly exceeded 30 businesses through his relationship with Seedrs. “As with other individual sports, you have to manage your team around you. In effect you are like a CEO, as you are responsible for hiring and paying people in your team and continually managing and monitoring not only your own performance, but everyone around you,” says Murray. “There are plenty of difficult decisions to be made and you are often dealing with people much older and more experienced than you. It can be stressful at times but you learn a lot about yourself and there is no hiding place. Murray isn’t the only player to have his own sports management company, but his mentorship role is a rarity among active players, who have jam-packed schedules and countless commitments both on and off the court. “It’s something I am passionate about, so I make time. Once I stop playing, then it’s something I can devote more time to, but it’s great being able to help some of the stars of the future,” he explains. His mother, Judy, is proud of the work Murray is doing. Judy, a former British Fed Cup team captain and coach, spends a significant amount of time trying to get more young girls into tennis as well as more female coaches into the sport. The apple has not fallen too far from the tree it seems. 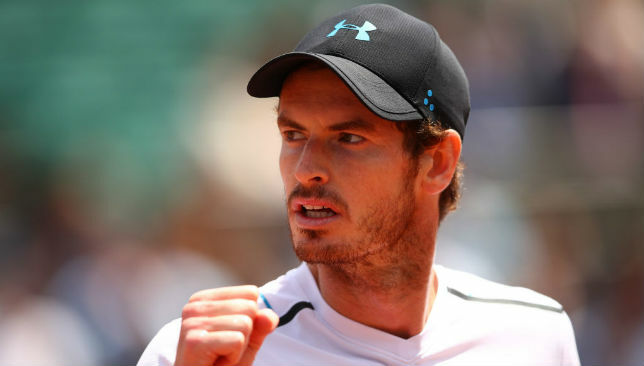 “I’m delighted to see Andy doing that,” Judy told Sport360 of Murray’s mentorship programme. “Because I saw him when he was a young player, you need common sense around you and you need unconditional support and that usually comes from the family. But you also need an adult who is not looking at you as some kind of cash cow. “You take a team around you and they’re all employed by you, they’re very much older, so you actually really need somebody to manage all of that. And there were so many things that we didn’t know when he was younger. Why would we? Nobody prepared us for anything, nobody had done that before in Scotland. “So it’s a lot about learning from your mistakes. And I think he recognises that now that there wasn’t that experienced voice that could come and sit with you and listen and talk and share experiences and help you to make the right decision at the right time, whether that’s environment, scheduling, choice of racquet, management company, whatever it is. And I think, he is, yes probably very similar to me in that respect. He just wants to share and wants to help. “Maybe he’s a wee bit like me, he thinks he has a better sense of humor than me, I’m not so sure,” she added with a laugh. Judy Murray and Katie Swan. Swan, a 19-year-old British tennis player ranked a career-high 167 this week, signed with 77 Sports in January this year (she was previously with IMG) and already feels the link-up with Murray has been invaluable. The two-time Wimbledon champion and his team helped her hire a new coach this season – Argentine Diego Veronelli – and also advised her on her tournament schedule. “He’s such a great guy. I’ve always known him to be so humble and willing to help others whenever he can. It’s rare to find someone on tour, who’s still playing, willing to do that. He’s helped me and Aidan a lot and I’m really grateful for that,” Swan told Sport360 in a phone interview this week. Mentorship is not something new to Murray. For many years, he would invite the younger British players, including the now 14th-ranked Kyle Edmund, to his winter training block in Miami or Dubai. He is the first to send a congratulatory message to any of his compatriots when they record a good result on tour, and approaches the up-and-comers to hit with him at tournaments. Murray also shares the statistical data his team have gathered on various players on the circuit if any of the young Brits need advice on their next opponents. “I’ve made plenty of mistakes throughout my career, so being able to offer advice on things like coaching, dealing with pressure and expectation right through to working with the media… I’ve also invested a lot in my performance team – strength and conditioning, physios, psychologists, nutritionists – and in using data to help my performance, so again, it’s an area I can offer advice and help guide,” says Murray. Swan, who has nearly halved her ranking this season, is from Bristol but lives with her parents in Wichita, Kansas. Spending so much time away from home has not been easy but she’s been learning how to adapt to her life as a pro with the guidance from the 77 Sports camp. “There’s always a lot of sacrifices to make. The whole team helped me find my new coach this year, he’s from Argentina, which logistically makes it quite difficult to be able to spend much time at home,” she says. Face-to-face meetings are not always feasible between Murray and his mentees, but he does get the chance to see Swan and McHugh at tournaments, and he has spent time hitting with the latter in recent years. Hibs duo Porteous and Fraser Murray met up with the Scot at Wimbledon in June. All four of them, along with the sprinter twins Shannon and Cheriece, are on a WhatsApp group with Murray and his team, leaving an open communication channel among them year-round. “I had a chat with Andy before the Commonwealths as it was my first senior event and I wanted to draw on his experience as an elite athlete,” Cheriece told the BBC earlier this year. Cheriece, who specialises in the 400m, is pursuing a degree in Management at Cass Business School while her sister Shannon is studying biomedical science at the University of East London. They are due to graduate next year. “There are other things that go into sport than just the performance, obviously there’s the training away from the court but also the education too, to set yourself up for life after you finish and that’s actually something that I regret myself, not doing,” Murray told BBC Sport. Murray’s most recent recruits are from Hibernian, the football club he supports and where his grandfather, Roy Erskine, once played. Fraser Murray and Porteous signed with 77 Sports in May, as part of a wider deal involving the agency and the club’s academy. Porteous, 19, is a central defender at Hibs and was recently called up for Scotland’s U-21s, while Fraser Murray, also 19, rose through the club’s academy ranks before making his competitive debut with the first team in 2016. The Scottish teen scored two goals in his first six appearances. Beyond their tie-up with the two footballers, 77 Sports plan to work with coaches and staff at the Edinburgh club’s academy. “Football is a huge passion of mine and I’m looking forward to working with the club – and with Ryan and Fraser and helping them with every aspect of their careers. Hibs have a great youth set-up and with the team of people I have around me, we’ll be helping them in any way we can,” says Murray. Although he’s not ready to hang up his racquet just yet, Murray has already started ensuring that his legacy in sport lives on. His venture is one that is beyond tennis, and beyond dollar signs. It is far from the typical formula in today’s money-grabbing, cut-throat world of competitive sport. But while markets change, tennis careers end, and industries transform, it’s fair to say that the role of Andy Murray: The Mentor, will likely last a lifetime. Pliskova is through to the quarterfinals of the China open. 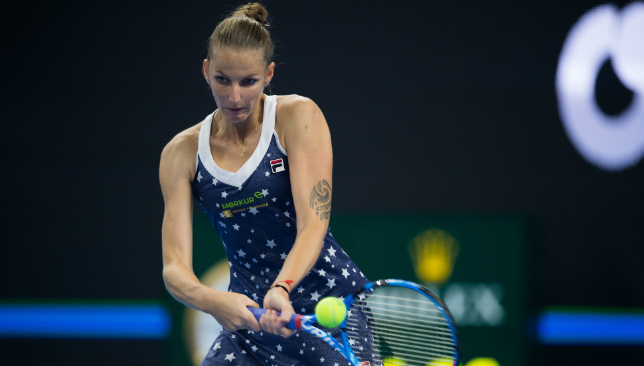 Top seed Karolina Pliskova eased herself into the quarter-finals of the Tianjin Open on Wednesday with a 6-1 6-2 victory over Polona Hercog. The Czech, who won her second title of the year in Tokyo last month, was in control throughout and won the first five games of the match. The second set was slightly tougher for Pliskova, who saved a break point with a drop volley and then sent down an ace to bring up a fourth match point. Another big serve forced a Hercog error to seal the win. Pliskova won 80 per cent of her first serve points and faced just one break point against her serve, which came in the very last game of the match. Aryna Sabalenka was also a comfortable winner as she saw off Magda Linette 6-1 6-3 in one hour and 13 minutes. At the WTA Ladies Linz in Austria, German wildcard Andrea Petkovic pulled off a shock when she defeated top seed Julia Goerges in their first-round clash. Petkovic beat compatriot Goerges, the world number nine, 1-6 7-5 6-4 after two hours. Earlier, number three seed Barbora Zahlavova Strycova came through her first-round match against Belgium’s Kirsten Flipkens with a 7-6 (4) 7-6 (5) win. Anastasia Pavlyuchenkova, the sixth seed from Russia, had to come from behind to beat Vera Lapko of Belarus 5-7 7-6 (4) 6-3. Ninth seed Katerina Siniakova, though, lost 7-5 6-0 to Russian Ekaterina Alexandrova and Belgian Alison Van Uytvanck recovered to beat Anna Karolina Schmiedlova in three sets, 1-6 7-6 (3) 7-6 (5). In Wednesday’s other later matches, Dutch world number 10 Kiki Bertens, the second seed, defeated home player Barbara Haas 6-2 6-1 before Italian Camila Giorgi beat Swiss Jil Teichmann in straight sets, 7-6 (2) 6-3. At the Prudential Hong Kong Tennis Open, fourth seed Garbine Muguruza secured her place in the quarter-finals with a 6-2 6-1 win over Romanian Ana Bogdan. Number eight seed Alize Cornet, however, is out after the Frenchwoman was beaten in three sets, losing 6-4 4-6 7-6 (5) to Thailand’s Luksika Kumkhum, ranked 105 in the world. Teenager Dayana Yastremska is through after the 18-year-old’s earlier 6-3 6-3 success against Zheng Saisai of China, while Slovakia’s Kristina Kucova coasted past Bulgarian Viktoriya Tomova 6-1 6-0.